Why Does Mandarin Have Two Words For “We”? 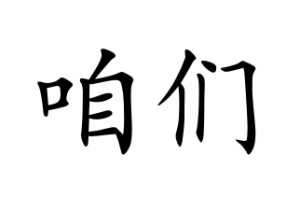 But in Mandarin Chinese there is the word zán men 咱们, which also means “we”. Don’t bother asking a Chinese person what the difference is because if they’re not a Chinese teacher it’s quite likely wont be able to tell you. In fact, if they’re from the south of China they almost certainly won’t even use the word zánmen.